Val Chmerkovskiy has confirmed his split from Amber Rose, labelling his ex an "amazing woman". The pair met after Amber was partnered with Val's brother Maksim on U.S. talent show Dancing With the Stars last year (16). 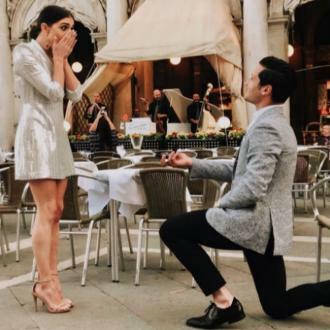 But just five months in to their romance, it was reported that they had called time on things, with Ukrainian-born Val, 30, revealing the rumours were true in a lengthy post on his Instagram page on Sunday (12Feb17). "I'm addressing this toping (sic) solely in hopes that after reading y'all will stop spamming my posts," he wrote. "We decided to end our relationship a week ago, and did so with humility and understanding. She's an amazing woman and I feel very lucky to have gotten to know and love. An amazing mother, an awesome friend, a loving human period. Reserved, poised, and loyal. To stress that to the more common folk 'she loyal af' (as f**k)." Amber is mother to three-year-old son Sebastian with ex-husband Wiz Khalifa. 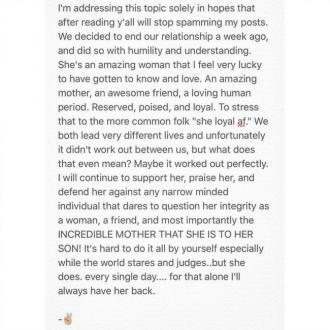 In his Instagram post, Val continued to praise the Loveline host's parenting skills. "We both lead very different lives and unfortunately it didn't work out between us, but what does that even mean?" he added. "Maybe it worked out perfectly. I will continue to support her, praise her, and defend her against any narrow minded individual that dares to question her integrity as a woman, a friend, and most importantly the INCREDIBLE MOTHER THAT SHE IS TO HER SON! It's hard to do it all by yourself especially while the world stares and judges.. but she does. Every single day…. And for that alone I'll always have her back." Amber later commented on Val's post, writing: "Thank you Val." The 33-year-old beauty has already sparked rumours she has moved on from her former romance, as she attended Clive Davis' annual Pre-Grammy Party on Saturday night (11Feb17) with former spouse Wiz. The exes weren't shy about showing off their affections for one another - holding hands, embracing, and kissing for the cameras.